Sunnism is suffering an identity crisis: other than not self-identifying as a Shī’ite, very few people who identify as Sunnīs can explain what beliefs makes a person a Sunnī. This has left a bleeding wound in people’s conception of Islām, through which infections such as Qādiyānism, Rāfidism, Progressivism, Modernism, and other forms of misguidance cause many well-meaning people great damage to both their faith as well as their worldly existence. Otherworldly concerns of protecting people from the harm of odious deviation from the pure faith, which can delay or deny salvation, tag along with the deleterious effects of the pursuits of sectarian agendas in the guise of religion which are literally burning entire nations like Syria and Yemen to the ground in front of our eyes. At the same time Muslims living in North America and Europe are witnessing a coup against established legal, cultural and spiritual norms in the name of progressivism and liberalism, which confusingly seem to come from quarters which are, politically, less openly hostile to some version of an established Muslim presence. The chasm which is opening because of this coup threatens to divide what used to be the common Sunnī identity in these lands into a Reform/Conservative/Orthodox-type divide which currently exists in the Jewish community; the reform identity being roughly one of radically jettisoning canonical interpretive methodology and precedent. Conservatism is acknowledging the need to do what Reform Judaism did, while preserving the traditional forms of Judaism when practical. Orthodoxy has been seemingly left behind as an attempt to carry on the premodern Jewish theology and law, uninterrupted by modernity. To the scholarly past of this ummah, the obvious place to find the necessary guidance to solve the above-mentioned problems should be in the books of ʿAqīdah of the Sunnī Kalām tradition; however, this seems to not be as obvious anymore to the ummah as it should be, and for that reason a number of problems arise. The following tract, by Allāh’s help, is meant to investigate these problems, and to make the case that a serious revival of the study of ʿAqīdah in our communities is one of the foremost obligations upon Muslims today. How Has the Study of Aqidah Fallen From Importance? There are many reasons why the study of ʿAqīdah has fallen out of favor. Firstly, the lay public, due to sectarian influence of foreign groups, has come to see the word ʿAqīdah as a codeword for polemical infighting, something which most North American Muslims rightly intuit will lead to little or no benefit. Thus, the word ʿAqīdah now conjures up images of brothers pointing fingers upwards and asking, “Where is Allāh?” or whether or not you believe that the Messenger of Allāh ﷺ is omnipresent in all points of time and space. Such issues are irrelevant to the public. Worse yet, they are weaponized by some and result in dissention and division within congregations. Secondly, many madāris have severely downplayed if not outright jettisoned the study of Kalām other than for the purpose of refuting heterodox groups. Worse yet, sectarian partisans use it to cut down other legitimate views within Sunnism, as if they are a patent falsehood, even though the matters at hand are, at most, differences of opinion. Although refutation is a legitimate purpose of the knowledge of ʿAqīdah, it is hardly the aim of its study. It is more important for a believer to know who he is, rather than who he isn’t: the former is based on the knowledge of revelation, whereas the latter is more conveniently facilitated by sectarian animus. It is important to note that revelation “taught man what he knew not”, whereas even the people of falsehood are adept at circularly refuting one another. Thirdly, much of the lay public has come to the idea that the old works of Kalām, even if a sentimentally important part of our intellectual heritage, lack relevance to today’s more pressing issues. Many may ask, what can Rāzī, Ghazālī, and Juwaynī practically teach me to prepare for an encounter with New Atheism or Liberalism, or any number of other prevalent ideologies at odds with the way of life prescribed by revelation? For the reasons outlined above, scholars and students of knowledge have a responsibility to act as facilitators and intermediaries between the laity and revelation’s Divine and prophetic sources. There are many benefits that the ummah will take from a clerical class well-grounded in Sunnī ʿAqīdah. Unfortunately, the very need for this class of specialists in the information age, something taken for granted in past generations, requires explanation today. Pious and illuminated hearts and minds must disseminate the sacred creed of Islām, not use sectarianism to divide the ummah, build socio-political clout, or win followers and disciples, but in order to show Muslims who they are, rather than who they aren’t. Only then will people once more start to see the Sunnī ʿAqīdah as a source of guidance and intellectual-spiritual order. Indeed, the balance between the rational need for limits and an inclusivity which can only come from the generosity of being connected to the Divine is found in the Sunnī creed. Achieving this balance is a hallmark of being an imām in this tradition. The emulation of the prophetic model is in bringing sincere believers together whenever it is possible, and separating individuals from the flock only when absolutely necessary. Thus, did Imām Ṭaḥāwī explicitly declare that anyone who meets even the most minimal standard for a valid islām is a walī of Allāh, even if they are sinners or, in some instances even misguided. It was a strong statement, and one he meant to make. Large scale propagation of ʿAqīdah in such a way will negate the stigma of sectarianism by showing people the point of ʿAqīdah (a framework through which to view the world) and not a degenerate form of divisive sectarianism. It will also give people the understanding that whoever drives exclusionary sectarianism within the Sunnī populace, isn’t doing so as a representation of Sunnism; rather, it is a sign that something else is at play. In order to get the vastness of the ummah on to the same page in mind, then spirit and body, the framework of Sunnī ʿAqīdah must become the common thought currency between all Muslims, regardless of race, madhhab, Sufic association, socioeconomic status, occupation, or nationality. The benefits to the ummah of the wide and proper dissemination of ʿAqīdah by no means stops there. Much of the abandonment of the commandments of the sacred Sharīʿah has to do with the lack of understanding amongst laypeople about the importance of Fiqh and its various sources rooted in revelation; If they understood the importance of the law, they would be more avid to implement it, appreciating the elegance by which they are inseparable. In that sense, an overemphasis on the sacred law in comparison to both ʿAqīdah and Taṣawwuf when ministering to the public may be a cause of its diminished acceptance amongst that same public, as it is tough to bring the body to do things when the mind and heart aren’t in it. As important as the dissemination of the sacred creed is, however, it can only be done on the heels of a solid understanding of it. This requires a depth of study by the scholarly class that goes beyond a basic minimum belief for a valid īmān. Maintaining a cohort of the learned who are custodians of such understanding is an obligation on communities; indeed, many a non-farḍ matter on individuals becomes a farḍ kifāyah on communities and sovereign states. This is the case for all of the disciplines necessary in order for the Dīn of Allāh to be understood, implemented, and defended at individual and collective levels. This brings us to another matter which is one of great concern to anyone who has dedicated their life to knowledge, beyond the pursuit of degrees, ijāzāt, clerical career opportunities and fame as preachers and leaders; that is the uṣūlī nature of the sacred Sharīʿah. Uṣūl are the universal principles which make up for framework within which the individual rulings of the sacred Sharīʿah fit. The uṣūlī nature of the sacred Sharīʿah, and its understanding was always the crown pursuit of the greatest of the scholars. In fact, to call a scholar an uṣūlī is to bear witness to the integrated seamlessness and encyclopedic knowledge of the sharīʿah, bringing names like Ghazālī and Shāh Walīyyullāh to mind. The idea is that the Dīn of Allāh isn’t just a scattered distribution of rules, verses, statements and prohibitions to be read atomistically; rather, those discrete data points fit into uṣūlī models and theoretical frameworks that undergird the different branches of learning in Islām. Thus, Ḥadīth is governed by uṣūl al-Ḥadīth, Fiqh is governed by uṣūl al-Fiqh, Tafsīr is governed by uṣūl al-Tafsīr, and so on. The reason is that without a methodology a person can hardly take an objective stance on any matter, much less understand large fields of information in a cohesive and cogent manner. All of these uṣūlī systems in turn are undergirded by ʿAqīdah, which is the Uṣūl of Uṣūl; it is perhaps for this reason that Imām Abū Ḥanīfah, may Allāh have mercy on him, named his work on ʿAqīdah with such a gravity, al-Fiqh al-Akbar. Jettisoning a holistic Usūlī approach to the Dīn by fixating on individual verses, aḥadīth, and legal rulings has allowed the jackals and hyenas who prey on this ummah to masquerade as representatives of the Islām and flagbearers of the Sunnī tradition, whether they be in the form of modernists, terrorist groups, neo-Salafists, neo-traditionalists, neo-Kharijītes, or the like. When uṣūl are cast aside, such groups can now regurgitate particular data points from the Islāmic tradition with enough charisma to woo audiences to their respective agendas. Modern day reductionists have peddled the idea that uṣūl are an unneeded vestige of medieval foolery, and must today be replaced by the empiricism of hard evidence in the form of literal text. While other scholarly endeavors like taḥqīq and takhrīj are worthy, they are not substitutes for uṣūl. Powered by the false confidence a literalist worldview engenders, unscrupulous operators resort to forcing the mismatched puzzle pieces together in new, scary and, incoherent ways. Indeed, many committed Muslims, upon encountering textual evidences produced by reductionists, find themselves at a loss to explain what is specifically wrong with such groups’ picture of Islām. From that pool, many subsequently join or at least tacitly support such groups, much to the spiritual, economic, political and social detriment of the ummah. Why would anyone bother to rearrange the sharīʿah in such a way? In order to deceptively harnesses the demographic, economic power of the love and zeal of the masses for Islām. If the Bolsheviks could do it, anyone can; indeed, their spiritual heirs, may Allāh protect us from them, continue do so. Uṣūlī thinking imparts a methodology by which one can understand the Dīn at a deeper level. It also gives its practitioner the ability to consume and solve new problems and digest issues which arise from unprecedented circumstances. I would go one step further and say for the robust intellect, nothing in creation would be “new” anymore. Indeed, I can affirm that at least in my own experience many “new” challenges to Islām’s worldview are, in essence, rehashings of old challenges (albeit with different modalities). More often than not, historic iterations were far more sophisticated than contemporary ones. Due to the modernism’s reductionist approach, philosophers have become largely irrelevant in the popular arena: the new standard bearers of materialism are often scientists, hard or soft, whose touting of materialism (and the atheism which inevitably emerges from it), is sophomoric at best. The idea that uṣūl, or understanding how to think, is distinct and in many ways superior to only knowing what to think, should not be lost on any rational person. Yet another sad consequence of abandoning the study of ʿAqīdah has been well-intentioned and ostensibly Sunnī public intellectuals, often very accomplished in Western Academia, but lacking even a basic command of classical Arabic, hastily dismiss Kalām as not being relevant to the “new” challenges posed to Islām and its intellectual framework. The strange thing is that many who express sentiments like this lack competence classical Arabic, yet believe their readings in English qualify them to make such serious judgments. Can you imagine what a mockery would be made of someone who only could speak and read Urdu and whatever was translated into it began to comment with an air of authority on theoretical physics or cutting-edge medical research? Even more frustratingly, those intellectuals who can access classical Arabic rarely have actually taken the time to read the old books of Kalām in any serious way, much less with a teacher. Such an attitude has gained currency among many generous and reverent defenders of Islām who opine that kalām held a useful function in the past, but gives the contemporary Muslim little preparation for the onslaught liberal modernity is directing at the world. Similarly, other less well-intentioned academic and post-colonial intellectual elites, hold en vogue a vision of Kalām as a kind of fossilized carcass, declaring it an irrelevant and even decadent feature of a past, best left behind. What’s fascinating here is that, both share a similar belief in history’s linear progress; somehow the future, solely by virtue of it being the future, necessarily brings with it more sophisticated challenges than the past did, a hallmark of haughty modernist thinking. This idea seems to be validated in the colonized mind when it soaks in the stark reality of disenfranchisement and defeatism that surrounds it. I state here unequivocally that the ability to marshal armies and death-raining technology does not necessitate intellectual superiority. Nor is the ability to kill and enslave people an attribute of the ḥaqq. Yet still many Muslims wonder: what could discussions regarding the classical ideas about materialism or polemical refutations of the Muʿtazilah and Bāṭiniyyah have to do with answering Richard Dawkins, Neil deGrasse Tyson, Liberalism, and the like? The answer is more than you think. The arguments of scientists against religion are not as seemingly unassailable as they may appear. As empirical philosophers, they themselves have jettisoned a large part of rationality from their own discourse, vaingloriously declaring that if it can’t be seen, heard, tasted, touched, smelled or measured, it doesn’t exist. Such an unexamined statement, when taken to its logical conclusion, would have us revert to Roman numerals and render the Big Bang a rational conundrum. The arguments for kufr, all of which, whether in the form of polytheism or atheism, all depend on affirming the divinity of the material things of this universe, in similar, but subtly different ways. It is a maxim of the scholars based on a number of statements of revelation that all the different types of kufr, ultimately comprise of one millah. For example some said that God resides in everything. Others said that God was born in the flesh. Some said that there is no God. All, however, in order to explain the incoherence of everything spontaneously existing from nothing, stated that the material universe must have always had attributes Muslims ascribed to the Divine. Many resort to claiming it existed in some cyclically reiterating form, and thus will continue to do so, possessing pre-primordiality and eternity, both being essential attributes of what we call God. It is against this backdrop that Islām, rather than assigning Divine attributes to the creation, affirms Allāh’s being thoroughly unlike His creation and transcendent above it. It is from this basis that the Kalām tradition painstakingly refutes many possible contortions and adjustments that kufr can, has, and will make in order to free itself from the trap of its own initial incoherence. Through study of those refutations, a roadmap to answers to modern obsessions like “if God is so omnipotent, why are children born with deformities?”; “why can’t we refer to God as a she,”; or “If God exists, show him to me, and if you can’t, admit He doesn’t exist,” comes into clear view. Once the existence of Absolute Truth is established and necessarily affirmed, the moral and existential chaos of an absolutist relativist (yes, I’m aware of how silly it sounds) liberal modernity is resolutely challenged. Without that affirmation, answering simple questions like “Who am I?” becomes cumbersome. I’d like to conclude, not by neatly wrapping the discussion up, but by throwing a number of doors open, namely the doors of ijtihad, which were never closed in the first place, at least for those whose purview it was and remains. Ijtihād is a very interesting idea, one of which many speak but few understand. Much like playing on a professional sports team is the preserve of the elite of that sport, ijtihād is an actual reality for those few who combine the God-given spiritual and intellectual strengths needed to have a shot at it, with the years of hard work and practice. Also, much like professional sports, although there may be only a handful of legitimate practitioners of ijtihad, there are thousands, if not millions of pretenders behind them ready to dream about it, talk about it and offer their detailed commentaries about it—commentaries bearing various levels of insight and/or connections to any kind of reality. The current reductionist, atomistic approach that is in fashion amongst the intelligentsia is an antagonist to an uṣūlī, methodologically consistent approach to anything in the Dīn; the lack of study of ʿAqīdah shuts out the student from uṣūl at the ground floor as ʿAqīdah itself forms the foundation of uṣūl. The preservation of ijtihad and its requisite branches of learning requires that there be a body of literature and group of people who can trace the final product of the various branches of Islāmic learning from source materials to the final prescriptions found in the canonical texts of the different sciences. A pseudo empirical-textual fixation not only subverts the superiority of the living tradition as described above, but also renders ijtihad practically meaningless. Supplanting the importance of uṣūl, which is the craft of ijtihad, games the system in the direction of literalism, or worse yet, a type of literalistically-inspired mya in which each individual, who may be busy becoming a doctor, shopping, on Facebook and Twitter, and giving their opinion, interprets text based on the meaning that most strongly occurs to them. In such a nightmarish reality, truth, authority, reason and orthodoxy are replaced with a type of democracy of stupidities. This has been described in the ḥadīth of the Messenger of Allāh : “Whoever speaks about the Qurʾān by his own opinion is wrong even if [he happens to be] right.” The implication here is that the methodology by which the truth is sought is so horrid that it nullifies any possible benefit of randomly arriving at a correct conclusion. The similitude is one of a person who, instead of waiting to land at the airport and taking a cab home, jumps from the airplane as it flies over his house; timing his jump with a nearly impossible accuracy. Even if he is lucky and arrives at his destination, his arrival is not in any worthwhile manner. Aside from the damage such an approach inflicts on the intellectual establishment of the Dīn due to its rabid irregularity, what is perhaps most tragic is how such intellectual vigilantism robs the top minds of the ummah of the chance to see the bigger picture when it comes to the sacred sharīʿah. Muslim scholars do not celebrate Abū Ḥanīfah and Mālik, amongst the salaf and Imām al-Ḥaramayn, Ghazālī, Shāṭibī, Qarāfī, Shāh Waliyyullāh, and others from the latter generations for amassing pages filled with attestations to particular rulings. Rather, they are looked to as beacons of light for their ability to explain the uṣūlī theory upon which the well-known precedents of the Sharīʿah were based. In many cases, they showed how that same uṣūl could be used to extrapolate rulings where no precedent existed. Such a big picture understanding of the sacred Sharīʿah can only come from an uṣūlī understanding, the appreciation of which can only come with a solid foundation in the robust study of ʿAqīdah; without it you lose the Ghazālī and are left with the Ghazālī for Kids series. Understanding how to think is indeed the crown jewel of ijtihad which is the difference between the ignoramus who will be punished even when arriving at the correct conclusion, versus the true ʿĀlim who will be rewarded twice for his correct conclusions and once for those which fall short of the mark. Thus, abandoning the study of ʿAqīdah is worthy of far more concern than many perceive. Take a course in a basic text of ʿAqīdah like that of Imām Ṭaḥāwī, Ibn Abī Zayd, Ibn ʿĀshir, or the like with an erudite and qualified scholar, like the mashāyikh at reputable institutions like Ribat, Dār ul-Qasim or Masjid al-Huda. If you don’t have access to in-person classes, listen to a recording of the explanation of the complete text of the ʿAqīdah Ṭaḥāwiyyah here. Contact organizations like Imam Ghazali Institute or those listed above, and coordinate bringing such a course to your community targeting community leadership, students of knowledge, academics, as well as the public at large. Support, seek advice from, and give a platform to those scholars who truly understand, believe in, uphold, and promote the Sunnī tradition, not merely as identity, but as a functional basis for viewing the world. Read, master, and memorize a simple matn like those mentioned above, in Arabic, and take time to read through their commentaries. Familiarize yourself with the intellectual history of Sunnī ʿAqīdah, and be able to trace how it has developed from the age of Risālah, the Salaf, the founding of its three main classical traditions, namely the Ashʿarī, Māturīdī, and Atharī schools, and how they dealt with major intellectual challenges in the past, like the Muʿtazilah and the Bāṭiniyyah. Seek out a qualified teacher in one of those three traditions, who can competently teach you beginning and intermediate Kalām works, and demonstrate to you the connection between the text and the school of Kalām; the Ḥanafī school of fiqh being deeply connected to the Māturīdī school of Kalām, the Shāfiʿī school being deeply connected with the Ashʿarī, and the Ḥanbalī school with the Atharī. As for the Mālikī school, it was initially associated with the Atharī school, but after the fitnah of Ibn Tumart’s false claim to being the Mahdī, built on robust dialectics, they en masse took up the Ashʿarī school in order to defend the integrity of Sunnī creed from further spurious assault. Keep contact with said teacher and refer back to him or her whenever questions regarding the creedal implications of any legal, social, political or other issue comes up. Teach a class based on a basic text, like those mentioned in the recommendation section for regular folks at least twice a year; it will solidify your knowledge of its contents and allow you to see their implications in other matters you would have otherwise been heedless of, due to them being in your mind constantly. Additionally, it will be a good way of paying the zakāt due on they knowledge you have accumulated. Read the intermediate and advanced books of your Kalām tradition. The advanced level texts will orient you with the opinions of the other schools as well. Do not suffice with that; rather read the texts of the other schools in order to get a fresh and accurate picture of their arguments. 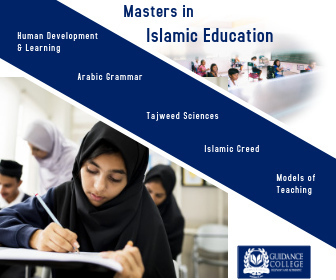 In addition to your teachers, keep contact with a group of students who are at your level of study and reading and discuss matters of import in the intellectual, social, political and cultural life of the Muslim and the world around. When appropriate, write about such topics for the benefit of other students of knowledge and even the general public. Use ʿAqīdah as a way of grounding your view of the world around you, allowing you to extricate yourself from getting caught up in ancillary issues, which while important, take a secondary importance when compared to those residing in the space of creed. Sh. Hamza was born in Whittier, California and lived in Southern California until the age of ten when he moved to Blaine, Washington. He later attended the University of Washington and in 2004 completed a Bachelors of Science in Biochemistry and a Bachelors of Arts in Near Eastern Languages and Civilizations. He served as the president of the University of Washington Muslim Students Association, one of the largest and most active student groups on campus, as a student senator for two years, and as the Senate-appointed member of the special funding committee. After graduation, Hamza went on to pursue traditional Islamic studies, which took him to Syria and Egypt where he studied the Arabic language; Morocco, Mauritania, and the UAE, where he studied the madhab of Imam Malik, grammar, usul al-hadith, and the two renditions of the qira’ah of Imam Nafi’, Warsh and Qalun, and finally Pakistan where he had the opportunity to study tafsir, usul al-hadith, hadith, ‘ilm al-rijal and Hanafi fiqh. Narrated by Bukhārī, Muslim, Ahmad and others. The narration translated is from Bukhārī. Many ardent proponents of sectarianism will argue passionately that these matters are of key importance to the belief of every Muslim. This flies in the face of the fact that if these matters were so essential to a person’s islām, they would have been explicated very clearly in one of the undisputable scriptural sources of dīn and on the tongue of the Messenger of Allāh ﷺ. This responsibility comes hand in hand with the responsibility of the public to heed their teachings and admonishments. One of the unfortunate consequences of the collapse of widespread and endowed patronage of the people of knowledge is that in order to prosecute their mandates, many scholars have become part time politicians in order to fund their projects, keep masjid boards at bay, make a living or even find a platform to be heard. Although it is part of the prophetic mandate for the ʿUlamāʾ to maintain a well-cultivated relationship with the public, there is an inherent tension between being a visionary representative of the Ḥaqq as transmitted through revelation and recruiting the resources from laypeople who view such support not as a sacred duty, but as transactional. Unfortunately, due to this conundrum, some scholars have turned to demagoguery and the trappings of cults in order to extract optimal support from their followers, while maintaining a level of control that mitigates the transactionality of that support; the problem here is that in solving one problem, a bigger one is created: the training of zombie-like masses who can no longer critically engage Islām, rather only parrot what their leader says. Such a model is not the one left to us by the Messenger of Allāh. Imām here meaning an acknowledged authority in a field of learning amongst the sciences of revelation, as opposed to an imm in a local mosque. An Arabic word for guardian and friend, it is the term most commonly used to denote sainthood amongst Muslims when used in the context of piety. As long as such a misguidance doesn’t rationally necessitate negating Islām outright. Herein lies a sign pointing to the prophetic methodology of teaching faḍāʾil or what the virtues of things are. Faḍāʾil as a branch of knowledge sometimes suffer the stigma of being less important than the rulings to which they point. However, inasmuch as they are necessary to engender the requisite respect in the hearts and minds of those who are morally obliged to follow those rulings, they may come to play a role which is much more important that many first think. Abandoning their mention is a departure from prophetic pedagogical methodology. The mind being the spiritual seat of cognition, and the locus of correct ʿAqīdah. The heart being a spiritual organ from where intentions originate, the rectification of which is the subject of Taṣawwuf. For instance having memorized the entirety of the Qurʾān isn’t an integral component of faith in any individual, but it is a farḍ kifāyah on communities to maintain and produce those who carry and transmit the divine text. As made up of an aggregate of small units which are analyzed and interpreted in isolation of others. The differences in uṣūl amongst the madhāhib being the reason we have different madhabs. There are a number of popular figures who have raised great amounts of money and garnered large followings from demographically Sunnī populations, despite their utter disdain for the actual Sunnī creed in private. This is because their heterodoxy, if clearly labeled as such, would not find much support at all. Interestingly, a hallmark of Sunnism has always been isnād or an open declaration of one’s sources of knowledge, giving us the benefit of transparency as opposed to deception. Neo-salafists being those who claim that they can bypass tradition in order to hearken back to the pristine Islām of the early generations. This is opposed to Sunnism which always held tradition as a great ark in which to preserve that same tradition and dispense it to the generations. All those who use the Dīn to air unjustified economic grievances, and all those who believe in their hearts that some kind of redistribution of wealth will solve the problems that only a rectified heart can solve. One of the hallmarks of modernist thinking is that the “newness” of a thing is directly connected to some sort of value it possesses. From a physical science point of view, we know that since the dawn of creation, there is nothing physically new, as matter and energy are neither created, nor destroyed. If that is the case for physical things, then what about the abstract and intangible universe of ideas? Furthermore, in the realm of ideas, something which was true yesterday is true today, and vice-versa, what relevance should “newness” have to ideas for an uṣūlī thinker in the abstract realm? In the dissemination of ideas, which is more of a political matter, these things are important, but in the world in which intellectuals transact, they rapidly lose currency amongst serious thinkers. Like Sociologists, Anthropologists, and the like. A noteworthy exception to the idea that all or most antagonists to the Kalām tradition are untrained in the classical Arabic sources are those who currently hold a position attributed to many of the salaf, namely that kalām is unsubstantiated speculation regarding revelation and the very nature of Allāh, thus a sin worse than theft and fornication, which is most widely ascribed to the Imām Aḥmad bin Ḥanbal, may Allāh sanctify his heart, and those who follow his school. Without casting any aggression toward this opinion which holds some merit, especially for the context in which it was first held, it goes without saying that such an approach will struggle to offer any help to a university student dealing with the ideological hailstorm on campus. Even then, a negation of kalām as scholastic theology is far from a negation of the importance of ʿAqīdah. The majority of Muslim scholarship, at any rate, didn’t see kalām in the post-salaf context as an abomination; I feel that radiant lamp of truth preserved in the kalām tradition would be unfairly thrown into the garbage heap of history by many at a time of darkness when the ummah acutely needs its light. Which, ironically, has yet to be empirically proven; who has an imaginary friend now? It is interesting that in attempting to explore this question, cotigo ergo sum is considered to be a treasure of Farangī philosophy: in our tradition, one doesn’t even begin the long journey of understanding reality, without paying the toll tax of fanā. Indeed, when reading the works of kalām, one quickly realizes that the more intellectually taxing exercise isn’t the refutation of kufr, rather that of refuting heterodox groups which operate under the umbrella of Islāmic identity, like the Muʿtazilah, Khawārij, and the Rawāfiḍ, who dared not challenge God head on, but strayed by overlaying their own sophistry over revelation. Thus, the more skilled refutations are not those of kufr, but of the spurious interpolations of the nafs, which gave rise to heterodoxy in Islām, which is expressed in the refutation of such groups. Thus, one can restate a reality mentioned above through its opposite: the journey to kufr can only begin in earnest by the complete affirmation of nafs, Allāh forgive and protect us all, and give all of us a good end. Not all spiritual achievements are virtuous. Some are evil, and many others are morally neutral. The Hindu concept of the illusory conception that each individual has of the world around him. To others it is an illusion, but to the individual in question, it is real; thus there is no such thing as a reality anchored at any absolute truth, rather an array of quasi-truths, which may be completely true, but only to the individual who holds them as such. This seems to be the direction in which the enfranchised elites of both the Muslim world and the world in general are both headed, if they haven’t already taken up residence decades ago. Being represented in the Salaf by the concept of Tafwīḍ, or vouchsafing the knowledge of that which is unclear to Allāh, rather than anthropomorphism. This hugely overstates the importance of the American Muslim community to the Muslim community worldwide. The USA was one of the major centres for emigration of Jews from eastern Europe during the Tsarist persecutions of the 19th and early 20th centuries; the UK was another. The world Jewish community was previously mostly found in eastern Europe and the Arab world (mainly north Africa and Iraq); today it is mainly found in the English-speaking world and Israel. In addition, the community was prone to schisms before the mass emigrations started. There was already a move towards secularism and humanism, called the Haskalah or “enlightenment”, as well as a schism between mystics (Hasidim) and legalists based in Poland and Lithuania respectively. This might be compared to the Brelvis and Deobandis in India, although the Hasidim are actually far more legalistic than the Brelvis are (I was making a rough equivalence). The USA’s Muslim population accounts for nothing like the same proportion of the world’s Muslim community as the USA’s Jewish population and the scholars in the USA are held in nothing like the same regard so they have much less potential to provoke a major schism. The greatest scholars are still in the lands they always were: India, Syria, Egypt, Morocco, Yemen and American Muslim communities still look to those places and send their aspiring scholars to universities and colleges in those places: Al-Azhar, the Qayrawiyeen, Dar al-Mustafa, Deoband and its offshoots, Madinah university. The Prophet (sall’ Allahu ‘alaihi wa sallam) also told us where the major schisms would arise: the Najd, and the East generally. Nearly all the major schismatic groups emerged either there, or among tribes originating there. The West (i.e. Africa) was always a land where the Muslims clung to mainstream Sunni Islam, even though parts of Egypt and Tunisia were dominated by Shi’ites for a time, and much the same is true of the native Muslims of eastern Europe. The Muslims living in the Christian West are subject to the same schisms as the lands they came from; there is no suggestion that a major fitna originating in this part of the world might affect the whole Ummah. It’s worth noting that the major schism among the Indo-Pak community here in the UK is still the Deobandi/Brelvi schism and that originated in India; the “inquisition” fitna that tore apart the American and British “salafi” communities in the 1990s started in Saudi Arabia, not in Brixton or Philadelphia. Great analysis by the shaykh. I would argue that American Muslims though few in number seem to have a lot of influence. In the UK the American Shaykhs get a huge following in comparison to the local scholars. At a recent conference by MEND all the speakers were Americans except Abu Eesa (but he hangs with Americans so can’t really count him as being totally British). This is not just limited to UK but NAK recently did a tour of Europe where he managed to pull in huge crowds and he is very popular across the world. Shaykh Hamza at a recent visit visit said something very interesting. Usually some ideas start in America then after a few years hit the UK and then a few years later they go to the Muslim lands. 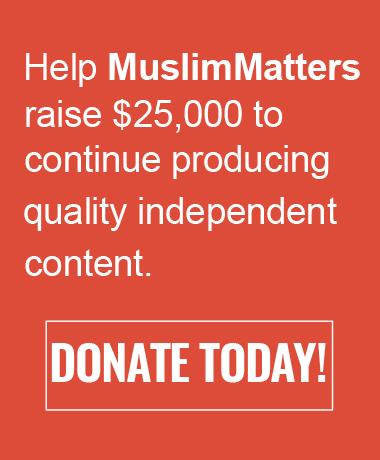 So there is no doubt that American Muslims do have influence despite their small numbers. It’s just that my personal experience shows that their influence has been detrimental in most cases. They have given rise to the celebrity speakers and a whole host of fitnas. Still there is hope with people like Shaykh Hamza Maqbul and others. An article which talks about being anti sectarian while disparaging “the Rafidha” and acting like Sunni scholars are not complicit in sectarianism in the Subcontinent in particular? Must be MuslimMatters! Just like the good old days again with Salafis talking about “the Rafidha” as an excuse to commit takfeer, except I guess now Salafism is out because people actually read Ibn Abd Al Wahhab and now romanticized Sunnism is in. Anyways – have fun with this, y’all. Kalam and usul texts are really interesting to study if you don’t take the authors as Divinely Protected and you read them alongside fatwa texts to keep yourself a bit grounded in the reality that usul didn’t guide everything, but hey, who am I but a Speck of Dust on the eternal light of the men gone by when I point out that usul sure as hell didn’t save luminaries like al Ghazali from putting words of misogyny and racism in the Prophet’s mouth via the use of weak ahadith. I’m sure that venerating texts that venerate hierarchies between the believers is going to make us all just swell and dandy and non sectarian – it’s not like any scholars studied these texts and came out far more skeptical than when they came in, but again, what am I but a pixelated set of code on the path of the True Scholars who sniff at the sight of my comment. Please read FN #24 of this article…I wish it was highlighted up front, as a disclaimer. Its an absolutely critical point to this entire discussion and should not have been buried as a footnote. I read a lot, but the language and complexity of this article was beyond me. If aqeedah is the foundation of religious study then there should be a way of talking about it that is easy to grasp for regular people.